For those of you who take a passing interest in this blog, you might have seen on my sidebar that recently I‘ve been reading a London guide aimed at helping Americans around our Capital City, and what little gems are to be found between the covers of this tome? The author, Donald Olson, is not someone I have read before, but he clearly loves London with a passion, and has written the guide in small sections that are: to quote him ‘as brief as a bikini’. He starts by introducing London to the first time visitor, with his recommendations for museums, eating, shopping, and the arts and his personal favourite London charms; moving on a very concise history of the city. A more comprehensive description follows, many of which have icons for: best of the best, heads up where to get a bargain and not be conned; kid friendly and my personal favourite London Tattler, inside gossip. With an excellent guide to hotels, foreign exchange, first aid, transport and all the information necessary to make a perfect break in London. However, I take exception to his contention to purchase a strong pair of walking shoes to save on cab fares, and personally I naturally would recommend a taxi tour; all cabs in London have disabled access another error in the 4th edition; and surprisingly he does not recommend the Palm Court at The Ritz for high tea; no doubt these small errors have been rectified in the latest edition. I particularly liked the description of Madame Tussaud’s: ‘The question is: Do you want to pay the exorbitant admission and devote time to see a collection of lifelike [wax] figures?’ – A polite way of saying avoid like the plague. And on renting a car in London – Not! ‘Manoeuvring through London’s congested and complicated maze of streets can be endurance test even for Londoners’; tell me about it. But my favourite, and this says something of American’s endurance, is his potted London in three-days: Westminster Abbey; Houses of Parliament; London Eye; Tate Britain; Piccadilly Circus; a West End show; Leicester Square, and that’s just day one. Day two: Green Park; Buckingham Palace; Changing of the Guards; Royal Mews; St. James’s Park; Clarence House; St. James’s Palace; Trafalgar Square; National Gallery; St. Martin’s in the Fields. Day three: Tower of London; St. Paul’s Cathedral; British Museum; Harrods – Cripes! He even expands this to five- or seven-day tours, just where do they get the energy? It came as a welcome surprise to me to find that this book, clearly designed for Americans to explore our city, taught me a thing or two about London and as a working cabbie I would urge you to read it before crossing the Atlantic. 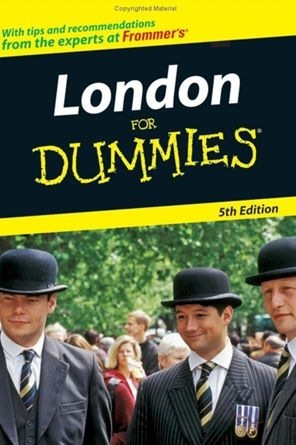 I personally intend to keep a copy in my London cab as this is an excellent reference book for our great City. and it looks interesting. Maybe I’ll use it one day. This blog is really a great blog to visit daily i like to read the posts on this blog it is very much useful in our career i want to subscribe the blog so can you give the subscription details and tell me when your blog gets updated.